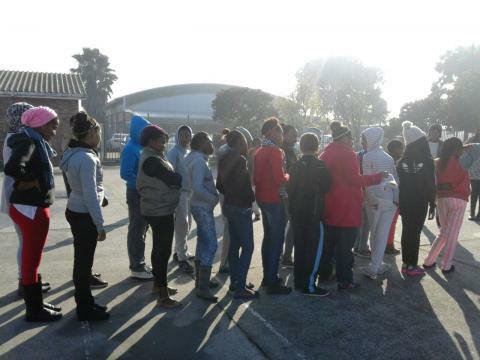 Someone once said, nothing great was ever achieved from a comfort zone and this proved to be true when over 300 learners woke up early on cold winter mornings to attend IkamvaYouth’s 2015 Winter School. 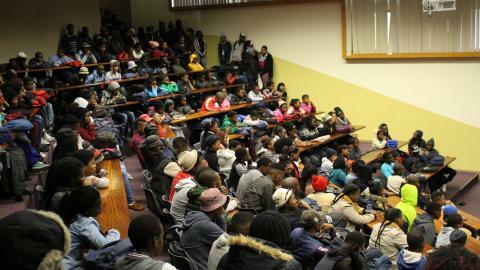 The morning of 29th June was filled with excitement and anticipation when 320 learners and tutors from Makhaza and Nyanga branch journeyed to the University of the Western for their two week Winter School. 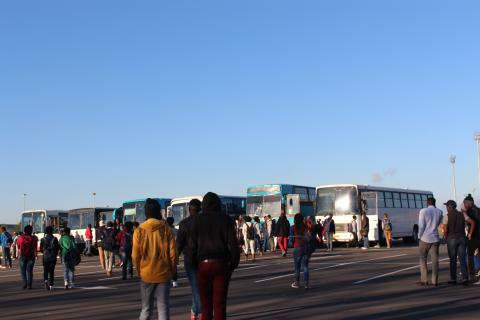 An entourage of 6 buses arrived at 08:30 and the Winter School kicked off with an opening and welcoming, which was done by Busiswa Dayimani and Nokukhanya Mchunu, Makhaza and Nyanga Branch Coordinators. The first week was filled with intensive tutoring, the days began with an assembly at 08:30, where the timetable for the day was shared and tutoring commenced from 9am to 4pm. 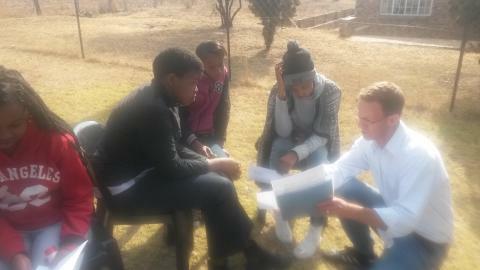 On each day tutors were given flexibility in terms of changing the timetable to accommodate the demand from the learners. In every room you spot serious faces, confused faces, determined faces and ones so engaged in the learning process. During the lunch hour every day the tutors and staff assembled for a feedback session, which allowed the identification of problem areas that needed attention for the smooth rolling out of the programme for the remaining days. In this way the impact made was greater as focus was shifted to the subjects that learners required maximum support in. 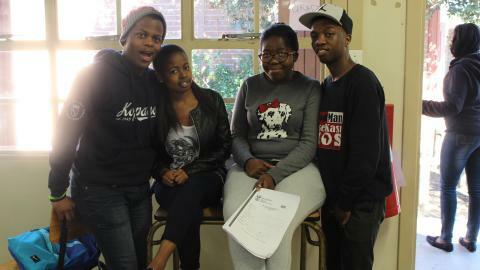 The second week kicked off amazingly, with most matric learners joining in the fun at UWC. The timetable changed slightly as workshops were included in the afternoon schedule. Many of the learners were filled with excitement and were in awe by some of the interesting facts shared about social media, leopards and financial skills amongst many. 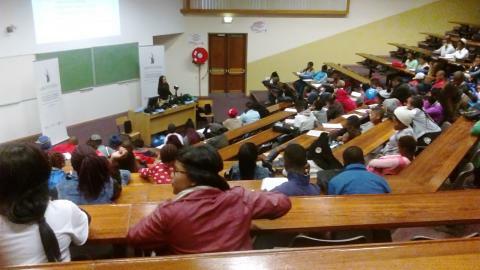 We would like to thank Capitec for hosting a financial skills workshop with our grade 11 learners. The Cape leopard Trust, Mxit Reach, R-Labs, Robotics, Sunstep and many other individuals who shared their insight in their various areas of expertise with our eager learners. Last but not least a huge thank you to our tutors who were incredible in the management of learners and tutoring sessions, their dedication to the mission and goal is recommendable. We admire the time, the effort, the dedication and passion that was shown by the learners, volunteers, guests, workshop facilitators, caterers and everyone who was involved to ensure that Winter School was a success. What an exciting event to experience! Week two of Ebony Park 2015 winter school started with a motivation from staff, thanking Ikamvanites for the commitment which they displayed during the first week of winter school. The second week was full of excitement and joy from both learners and tutors who managed to overcome the intense first week of winter school. The branch partnered with organisations such as LoveLife, Capitec (Financial Literacy Training), Fujifilm and The University of Johannesburg’s Centre for Education Rights and Transformation. These organisations took over the afternoon sessions from 2pm until 4:30pm. Love Life covered controversial issues on topics like HIV and AIDS and other tips on teenage conduct which most learners are currently facing these days. 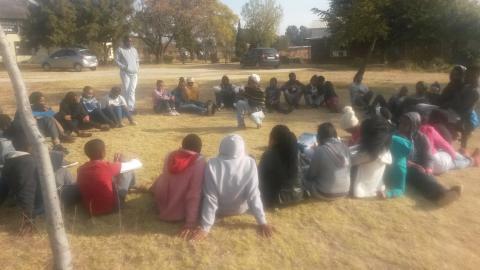 This resulted in a debate between Ikamvanites; both learners and tutors had their opinion on HIV and AIDS matters and the fact that government wants to have condoms at schools. Through these discussions, advices were given and others agreed to disagree. It was amazing to see how Ikamvanites were participating and giving valuable inputs towards these topics. Capitec gave training on financial literacy on how best to save and use your finances, this gave learners real life application of subjects like Accounting and Economics. Mr David Balwanz, a Researcher from Centre for Education Rights and Transformation at the University of Johannesburg, did a workshop on “knowing yourself”. 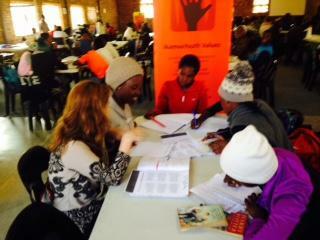 The workshop was an eye-opener for the learners and benefited some of the tutors as it helps them know their personality. It also helps Ikamvanites to realise that each and every person has a personality and the personalities are different from one individual to another. 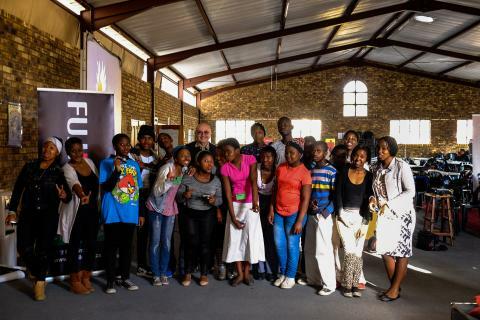 For the first time during winter school, Ikamvanites were visited by representatives from Fujifilm Mr Elsie Basson and Professor Raphael de Kadt to do a workshop called “photography is fun”. Ikamvanites learned that photography is a combination of Science and Technology and it also expresses pictures better than art. “For one to be a better photographer you need to travel a lot, be patient and be creative” said Mr Rafael. Ikamvanites learnt that photography is a way of seeing the world in a better view. It was an eye-opener for Ikamvanites to see photography as a career path to pursue. Ikamvanites expressed their gratitude to Fujifilm for donating memory cards to all who participated in the workshop. They also appreciated the great experience they had with Mr Basson and Mr De Kadt during the workshop and they will forever cherish the moments they had with them. As the week was nearing to an end, Ikamvanites were preparing for a talent show and a soccer match between the tutors and learners. What kick started the day was a soccer match between the tutors and learners. The match took place at the local soccer field by the ikamva branch. 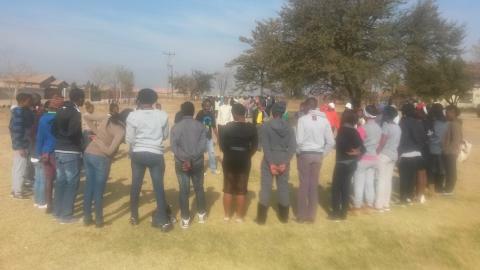 Members of the community came in numbers to witness the glorious battle between the tutors and the learners. As the self-proclaimed soccer analyst Lesedi Ramushu predicted, the Tutors were victorious with the score of 2-0. The plan to maintain a friendly relationship between tutors and learners was achieved as everyone had fun till the end of the game, with a learner Sydney Phalandwa as man of the match. The reason behind the soccer match was to refresh the minds of both the tutors and learners after two weeks of intense tutoring. Singers, Dancers, Actors and many more showcased their work as they left the audience breathless at the 2015 Ikamva talent show. A poem by Njabulo Mutle had everyone in tears as she reminded everyone about brotherly and sisterly love. Then the flood came when the dancers moved every one up-and-down to the rhythm of “Break-dancing” and “Pansula dance”. To close the Talent show there was a spectacular performance by a group of dancers who left the audience in a celebrating mood. “This Year’s winter school left everyone wishing they can go back in time not change anything just to have the feeling of unity, teamwork and excellence all over again” said Welsh Dube (Head of Tutoring). 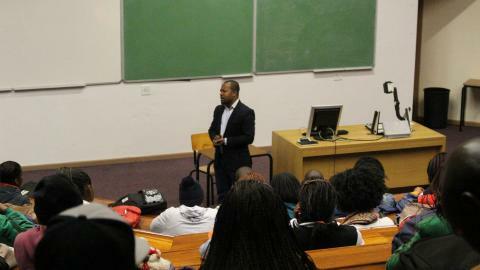 A closing speech was given by staff members to show their gratefulness to tutors and learners for a job well done. 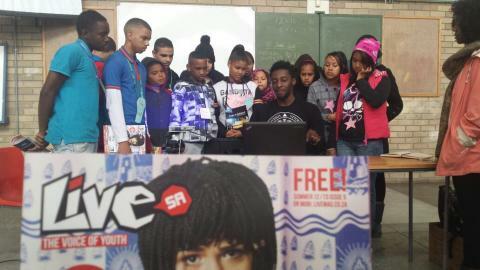 Thanks to everyone who supported Ebony Park 2015 winter school!! The Year Beyond programme has just had its very first successful winter school for 300 learners run by a group of 36 highly motivated volunteers. Winter school is a way of introducing our young learners to a wider world of opportunity through targeted career advice and mentoring activities, supplementary tutoring, excursions and workshops, and through career speakers offering advice and support to enable the learners to access tertiary education and employment. 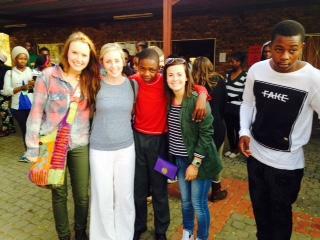 Our winter schools were held at Phoenix, Manyano, ID Mkhize, and Oval North High Schools. 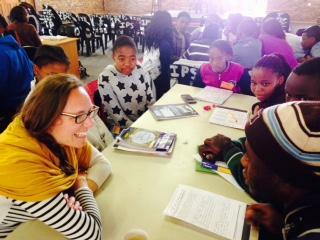 We were hosted with warmth and the learners thoroughly enjoyed the experience. 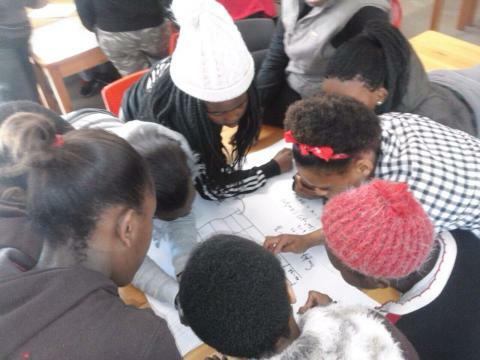 With the learners having never been to an established winter school programme, the experience unlocked their eyes and minds to a new sphere of possibilities. Winter Schools are not like the daily routine of a normal school day, instead it’s about intensive tutoring and different workshops focussed on equipping the students with a sense of independence as well as ensuring that they leave with the confidence and understanding in mind, knowing that it starts with self. 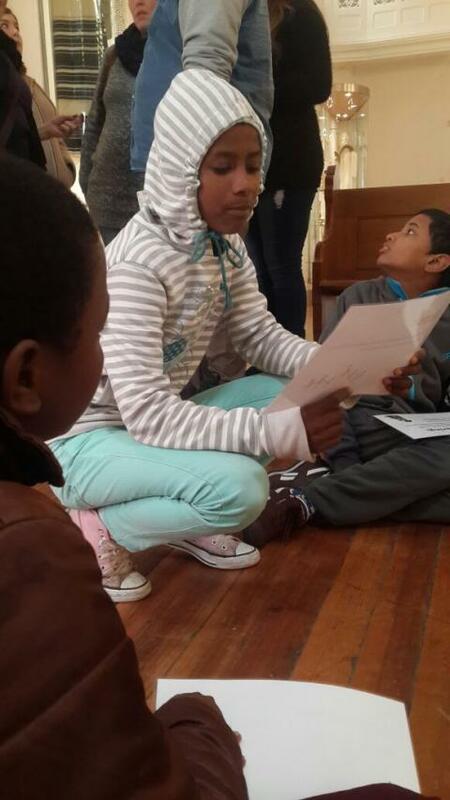 The activities and workshops were aligned with the intention of developing our learner’s leadership skills, level of awareness, valuing self and importantly raising awareness of the social issues affecting youth and the preventative actions that are available to them. The core component of Year Beyond winter school is the academic content. 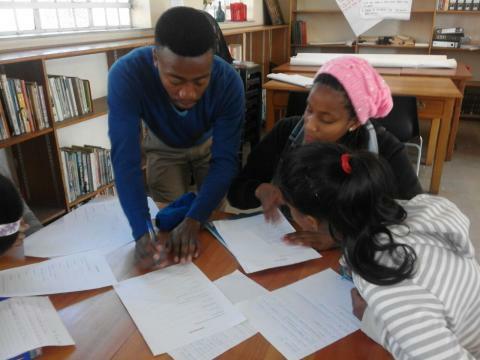 Learners received 2 hour intensive tutoring sessions with a variety of tutoring resources including; past papers, mock exams and Answer Series study guides, English (Fundza) and Math (Olico) Fundamentals. 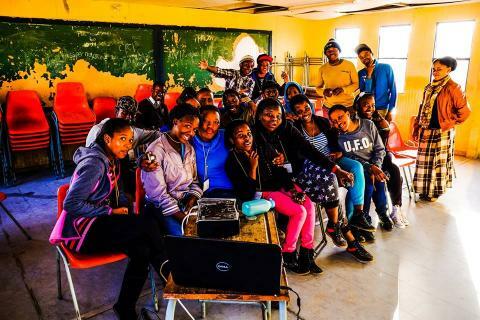 In addition to the academic emphasis, the winter school provided an opportunity for a number of workshops around themes relating to general life-skills, HIV/Aids awareness, filmmaking and personal presentation skills. 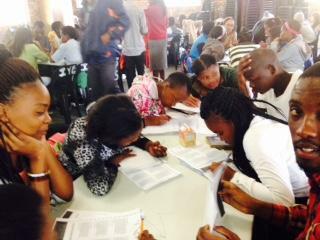 Learners were also exposed to information helpful to choosing subjects when they start grade 10. The varied workshops included; Peers in Sexual Health running workshops about teenage pregnancy / STIs/ HIV information and training through experiential games and role plays; UCT Health Faculty who ran TB awareness and movie screening for health awareness; a workshop from Live Magazine on how to build a newsletter and magazine, while Rae Human and partners gave a presentation from the Film and Publication Board covering topics like cyber safety, the film industry and the Board as national regulator that were geared towards enlightening learners to the dangers of the media landscape. 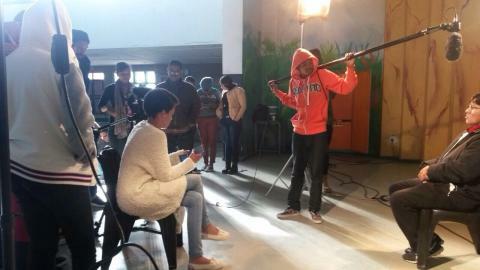 Students filmed their own short documentary through crash courses in sound, lighting and directing. UCT Humanities Faculty ran subject choice workshops and requirements to access post school institutions, and many learners went on an excursion to the Jewish Museum which aimed to create an understanding, gain knowledge and an appreciation of religious and cultural diversity within our society, and to respect the dignity, rights and values of people from different religions and cultures. As the old adage goes; two hands are better than one and combining two schools per cluster was the winning idea. 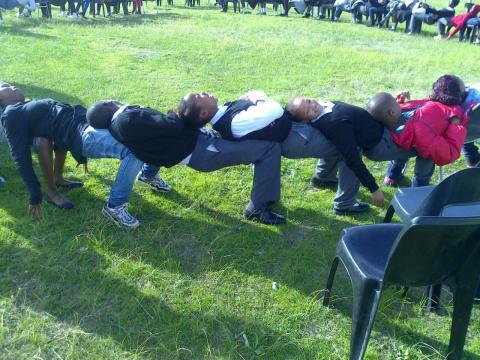 Manyano high school combined with Intlanganiso high school at Manyano and Tafelsig combined with Oval North at Oval North High. Additionally, Phoenix combined with Heideveld at Phoenix and ID Mkhize combined with Leiden high at ID Mkhize high school. At this point it’s where we could see the excitement on learners’ face when they were introduced to their peers from different schools. Peer to peer support was the tool that was used by tutors to ensure learners supported one another, but also in building a culture of hard work and being responsible to and for each other. A huge thanks to all the workshop facilitators, tutors and learners – Your passion, commitment, excitement and leadership shown over this time has started to set a precedent in the schools, instilling a culture of hard work and belief in the possibility of a bright and beautiful future! There is nothing quite as fulfilling as a group of leaners, working in solidarity; striving to feel the warm embrace of their dreams. Despite the piercing cold of the Gauteng Winter mornings, and the weight carried on the backs of the learners because of the several layers of clothing that winter requires; these learners soldiered on. They marched in eagerness, with joy painted all over their hopeful faces. Their enthusiasm for learning, even when most of their peers lay comfortably in bed, utters something commanding about these learners. It shows that like Lupita Nyongo, Ikamvanites believe that their dreams are valid; and they moreover identified IkamvaYouth as a vehicle to making their dreams manifest. 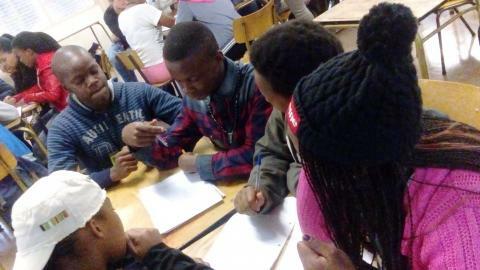 Week one of the annual Ikamva Youth winter school kicked off with a thought provoking English fundamental worksheet, which inspired reflection about the efficiency of non-violent protests. Answers varied, but there was no denying that planting a vision and working towards it is powerful; especially when looking at civil rights protest leader Martin Luther King, Jr and our very own, Nelson Mandela. 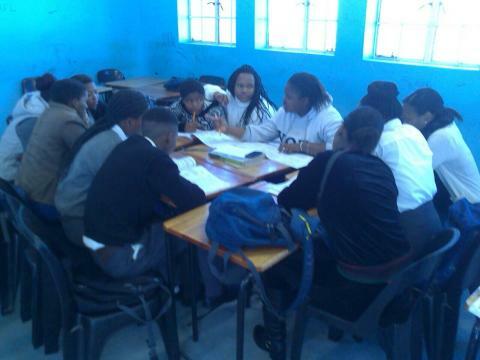 The English fundamental activity was a particularly imperative one because it not only created a space for the learners to polish their grammar and add new words to their already impressive vocabularies, but it also created a space for the learners to sharpen their eye for social responsibility and transformation; especially since South Africa just celebrated its 21st celebration as a democracy. As the week progressed, the sun came out to send its salutations; giving the learners and the tutors an added excitement which increased the already jubilant mood in the tutoring hall. This excitement demonstrated by the Ikamvanites for their studies manifests itself with high levels of concentration, inquisitiveness and hunger for knowledge; and of cause a few chuckles here and there. Ikamvanites have made the mandate clear; their aspirations are legitimate and excellent marks will make them come true, hence their constant submission to the tutoring lessons. The annual Ikamva Youth Winter School prides itself in not only being an agent of positive change for Ikamvanites; but also a source of knowledge from external influences. 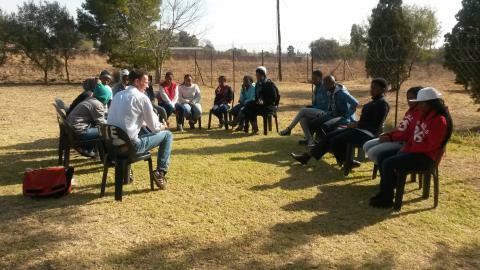 On the 2nd of July 2015, the Ebony Park branch welcomed education students from the University Of Missouri (USA), who visited Ikamva Youth to acquire information about the alternative learning methods that Ikamva uses and the vast achievements that Ikamva has had with respect to academic excellence and learner placements post matric. 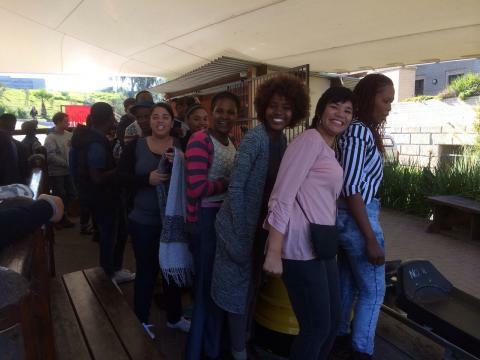 Lesedi Ramushu, a Wits Accounting student and tutor at Ikamva expressed that the multicultural interaction given by the students from the University of Missouri opened his eyes to the fact that education is a universal phenomenon. According to Ramushu, Ikamva has enabled him to come to the realization that when people unite, the world becomes smaller and better. Mphoentle Mogorosi, a grade 9 Ikamvanite excitedly announced that she would rather be at the Ikamva Youth Winter School, than at home sleeping; because getting help with her academics is an investment to her future. Bongiwe Zulu, a grade 11 learner added that waking up in the morning in winter has proved to be very difficult, but the vision that she has set out for herself pushes her out of her warm blankets every morning. Whilst listening to these inspiring learners, Nelson Mandela’s words occupied my mind, reminding me that truly; education is the most powerful tool that can change a child of a domestic worker and transform him/her to being a president of a great nation. Ex-Ikamvanite Ntebaleng Morake had this to say “When we say IkamvaYouth: the future is in our hands, we are not merely uttering these words; rather we are planting a seed of greatness that will catapult the continent. It lifts my spirit to see young people, laboring hard in their studies to give our country and continent the gift of service”. As we wrap up week one of the winter school, there is so much anticipation for next week. Do you know how a thirst for knowledge looks like? 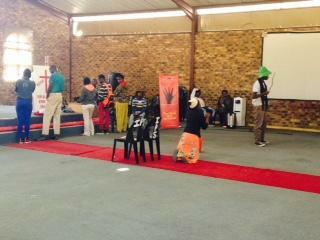 Come to IkamvaYouth and experience it for yourself.